Jon Hamm’s been rumored for a major superhero role ever since he made his name as Don Draper in the first season of Mad Men. Over the years, he’s been a fan favorite bit of casting for Superman, actually played Mr. Sinister in New Mutants before being cut from the film and has been repeatedly linked to The Batman. With the presumed departure of Affleck from the role, that last bit of speculation has picked up steam lately, and Hamm has at least one major cheerleader in his corner: director and comics fan extraordinaire Kevin Smith. Despite this, he’s apparently never had any formal discussions with Warner Bros. about the job, despite having met with them on multiple occasions to discuss other movies. One thing that might stand in Hamm’s way is the studio’s desire for a younger Batman to follow Ben Affleck’s The Dark Knight Rises-inspired take on the character. Matt Reeves’ upcoming solo effort has reportedly been retooled to reflect an earlier year in the hero’s career, with a variety of up and coming actors between the ages of 25-35 linked to the part. 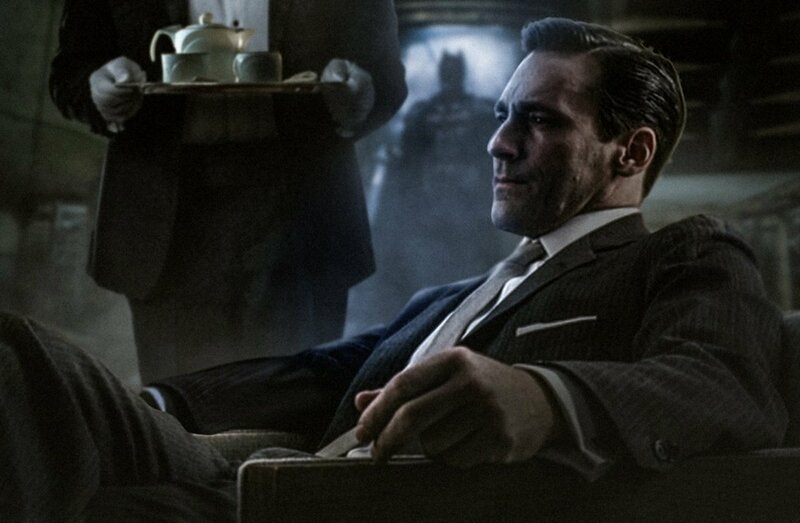 Then again, given Warner Bros.’ recent inclinations to greenlight projects like Joker, perhaps we could see Hamm as a non-DCEU Batman one day?